Outstanding safety and ideal comfort in wet conditions. Designed with Uniroyal's innovative Shark Skin Technology, the RainExpert 3 provides an exceptionally high level of resistance against aquaplaning. This is because the special tread, built to resemble the skin of a shark, minimises water turbulence and channels water away from the tread more rapidly. 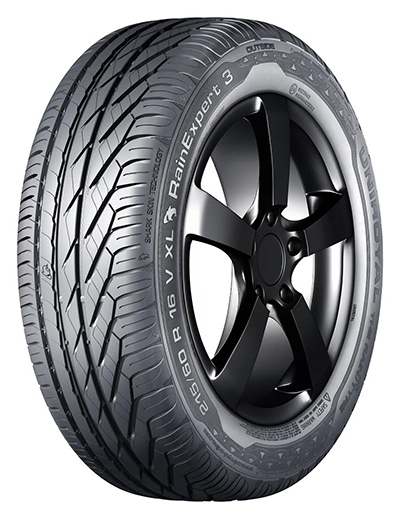 The tyre tread has been optimised to grip to the surface of the road and establish a strong contact patch. This results in short stopping distances on both wet and dry surfaces. Thanks to large outer shoulders which remain stiff, the RainExpert 3 offers superior gripping capabilities even whilst cornering.